Australia’s deep mineral resource riches have been turning the wheels of economic development in the country since the very first discoveries in the 19th century, which spawned the creation of stock markets where commodities could be openly traded. Ever since boat loads of explorers from Europe flocked to Australia’s Eastern shores during the first great gold rush of the 1850s, the resources industry has maintained a distinctly international flavour. And while the domestic market continues to thrive, as evidenced by a latest government forecast estimating resources export values at AUS$278 billion in 2018–19, Australia’s pioneering explorers have been more than ready to apply their deeprooted knowledge across several prospective jurisdictions around the world. 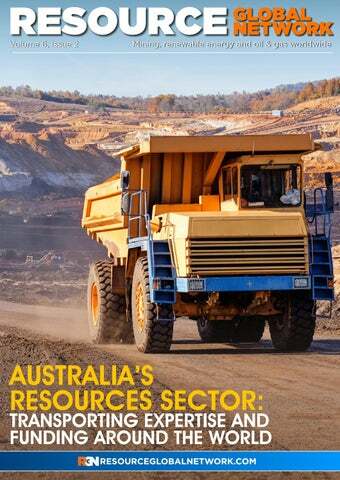 This issue of RGN provides a snapshot of the continued propagation of Australian expertise and funding for resources projects around the world, featuring a host of mining and oil & gas companies using the Australian Stock Exchange (ASX) as a launch pad for their international projects. We spotlight Australia’s growing investment in Africa’s mining sector with features on Prospect Resources and their much-discussed Arcadia Lithium Project in Zimbabwe, gold-focused Cardinal Resources in Ghana and Tanga Resources - who have recently expanded into Namibia. Brisbane-based Mayur Resources also present their industrial metals focus in the nearby high growth market of Papua New Guinea, before we move into an oil & gas mini-focus. Tlou Energy will soon provide much needed electricity to Botswana and the Southern Africa region, while Melbana Energy have moved into Cuba’s underexplored hydrocarbons sector. You can read these and more company profiles in the issue, along with the usual news round up from the first quarter the year, which has proved to be an exciting period for the global resources sector. Delivering drill hole data We understand it’s about more than just drilling the hole – it’s also vital to obtain quality samples and data from every drill hole. At Capital Drilling, we know how important this information is to our clients. We have our own Q&A teams on all production crews and ensure our drillers and offsiders are trained to follow our sampling systems and processes to deliver quality samples. After all, what’s the drill hole really for? Conveying Excellence with High-End Conveyor Belts Every conveyor belt, every climate zone and every topography calls for perfect conveyor belt technology. ContiTech provides knowledge, experience, a globally encompassing and competent network and a broad product range to give your conveyor belt applications a technological lead. More than 140 years of rubber expertise make us a strong partner, enabling our customers to benefit from the synergies within the Continental corporation. We implement innovative conveyor belt technology reliably, sustainably and safely from development to commissioning and after-sales service. TECHNOLOGY TO ALTER 77% OF AUSTRALIAN MINING JOBS IN NEXT FIVE YEARS: EY REPORT A new report compiled by global accountancy firm EY for the Minerals Council of Australia (MCA) has found that 77% of Australian mining jobs will be enhanced or redesigned due to technology within the next five years. The research, titled The Future of Work: the Changing Skills Landscape for Miners, looked into the impact of technology adoption and innovation across the mining value chain and the job market. The report found that employment projections are set to increase over the next five years, despite automation affecting a small proportion of occupations which would decrease in demand. “Innovation, people and skills combined with technological advances will deliver a more globally competitive minerals sector that delivers fulfilling careers in highly paid, highly-skilled jobs,” said MCA chief executive Tania Constable. “New technology and innovative practices will enhance the performance and productivity of 42% of Australian mining jobs, with a further 35% of occupations being redesigned and upskilled leading to more valuable employment opportunities. “Automation will give the opportunity for reskilling into other areas,” she added. for minerals and metals, and the extent to which government policies encourage or deter exploration and investment. “The survey is an attempt to assess how mineral endowments and public policy factors such as taxation and regulatory uncertainty affect exploration investment,” the report added. While Botswana held onto its position as the highest-ranking African jurisdiction, South Africa improved on its 2017 ranking of 48th out of 91 global mining jurisdictions, after the government published a revised Mining Charter last year. BARRICK DROPS $18 BILLION NEWMONT BID TO FORM NEVADA JV Barrick Gold has dropped its US$18 billion hostile bid for Newmont Mining after the two gold mining giants agreed on a deal to combine their operations in the US state of Nevada. The joint venture company will be operated by Barrick under a 61.5% stake, with Newmont holding the remainder, and will become the world’s largest gold producer with an annual production of 4.1 million ounces. The breakthrough deal was finally reached after weeks of bad-tempered retorts between both firm’s leaders, which threatened to derail the Nevada operations merger that has been in the offing for 20 years. In the wake of the deal, Barrick’s CEO Mark Bristow called Newmont’s boss Gary Goldberg his ‘new partner’, just weeks after labelling him a ‘loser’. In rejecting Barrick’s hostile bid, Goldberg called the offer ‘egocentric’. However, the mood changed when the pair began negotiations in New York last week, after some of Newmont and Barrick’s largest shareholders indicated their preference for a joint venture over a takeover of Newmont. supportive of the revised terms, we will no longer oppose the transaction.” Meanwhile, the stance of Newmont’s third largest shareholder, Van Eck International Investors stance, also softened in the wake of the special dividend announcement. “We’re very pleased with Newmont’s decision,” said Joe Foster, portfolio manager at Van Eck. “Companies always claim they’re going to create synergies. It’s great to see Newmont putting their money where their mouth is and giving us a payout up front.” Newmont’s friendly bid to buy Goldcorp is set to create the world’s largest gold producer. Goodyear OTR tyres can meet the demands of any construction and mining operation. Products provide high TKPH, durability and strong performance in all operating conditions. REDUCE YOUR COST PER TONNE WITH PROVEN AUTOMATION SOLUTIONS Whether you need to reduce your cost per tonne of extraction, enhance safety or extend mine life, WesTrac and Cat® have the experience, skills and technology to help implement an equipment automation solution that supports your business goals. Cat Command for Underground enables remote operation of load-haul dump machines allowing your site to operate more efficiently, more productively and safer, while reducing the cost of equipment ownership. DO MORE Call 1300 88 10 64 Visit WesTrac.com.au © 2017 Caterpillar. All Rights Reserved. CAT, CATERPILLAR, their respective logos and “Caterpillar Yellow”, and the POWER EDGE trade dress, as well as corporate and product identity used herein, are trademarks of Caterpillar and may not be used without permission. How many times have you been approached to look at a company that is raising money, doing an RTO, an IPO or merely being asked to buy on the market? We all know that investing in a small-cap resource company on the ASX can be very challenging. When you look at this industry, many commentators have compared the process much like going to the casino. In many aspects, I agree, but every gambler has a system that uses science to explain the process. It is this science if applied properly that can increase your chances of getting a good result from investing in a small-cap resource company on the ASX. not necessarily a result in reality. of the first principle of investing, DYOR (Do Your Own Research). NOEL ONG - SAMSO Samso provides bespoke research and presentation for clients to engage their customers or investors. Bespoke research is useful for clients who require a two-way flow of communication with their customer/ investor base by utilising a social media strategy. Organic content allows audiences to feel a real sense of sincerity when you share your business strategy. This allows your business to stand out among the sea of social media traffic. Samso has nearly 30 years of experience in developing business ideas and concepts in the Australasian region. It has worked primarily in the mineral resource industry, capital markets and corporate finance. spend any more of my time. (ASX: NAB) or Westpac Bank (ASX: WBC). second is practically a discovery. point for investors and vendors of projects. the company was in administration. it is common for vendors of projects to be paid in part or in full with company shares. momentum or when it comes to production? Again, these are essential factors to consider. begins, and with all schemes, it just gets worse as time goes. Resource Global Network thoughts and feelings are to the company. the smaller shareholders are ignored. directors who are geologists should be the ones sitting on drill rigs. internally with the right personnel. can survive for this long. opportunity to make money without them. the iron in any of those scenarios. I think Cobalt pricing was near US$92,000. As I write today, the price of cobalt is around $32,000. projects that are in their portfolio. heard over my 30 years. a lousy project. Sometimes, it is the opposite. From Pakistan to Thailand, Bangladesh and practically everywhere in between, itâ&#x20AC;&#x2122;s never been easier to trade in frontier market securities. 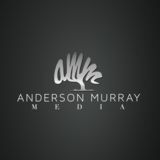 established relationships, can give your investment the edge in a brand new market. Call us, and see what we can bring to your table. In 2018, ASX-listed Tanga Resources decided to shift its focus from gold exploration in Tanzania to precious and base metals in a new African jurisdiction – Namibia. Tanga initially acquired the Joumbira Zinc Project and followed it up with the Hagenhof CopperCobalt Project in August 2018. Chief executive Matthew Bowles explains that part of the reason for the move into Namibia was in response to the recent changes to the Tanzanian mining code. “From our perspective, this had a fairly significant impact on investor sentiment into the country, and when you are a junior explorer it impacts you even more so,” he says. Most recently, Tanga has expanded its relationship with Namibia’s state-run Epangelo Mining, further cementing the company’s position in this attractive jurisdiction. larger lower grade mineralised zone. which provides significant resource potential. its ground position in Namibia to over 1,700 km². their input and thoughts on our exploration. Capital Drilling, a leading provider of exploration and production drilling services, are proud to partner with Tanga Resources to deliver their drilling projects in Tanzania. and also to test the depth and plunge of that mineralisation,” says the chief executive. ongoing growth strategy in Namibia. to build a team that is based in-country. with multiple high priority targets. has served to negatively impact investor sentiment into the mining sector. certainly not overlooking the gold potential in the region as well,” concludes Bowles. Mayur Resources holds a unique portfolio of resources and energy projects in Papua New Guinea (PNG) – a Pacific island state which Mayur believes offers significant and unrecognised potential as a developing nation on the doorstep of several major economies across the Asia Pacific (APAC) region. The company’s diversified portfolio encompasses a pipeline of exploration and development projects across industrial minerals, cement, power generation, coal, copper and gold – many of the key building blocks for a developing country. Mayur’s executive management team benefits from extensive strategic and operational expertise across the resources sector, with executive director Tim Crossley and managing director Paul Mulder offering +20 years of experience across a broad range of commodities. economic growth in the country. Papua New Guinea PNG has been recognised by Mayur as an increasingly attractive jurisdiction to operate in for several reasons: It has proven mineral potential and a well-established mining sector, with a supportive government, a stable legislative environment and favourable fiscal and tax regimes all set against a backdrop of sustained population growth. “PNG offers a huge amount of opportunity given that it is underdeveloped when you compare it the rest of its APAC neighbours and its first world neighbours such as Australia and New Zealand. “With an electrification rate of just 13% of the population, there has been limited economic development in PNG compared to what there could be if they had an electrified nation, and that is where we see a big opportunity,” Mulder adds. deposits near PNG’s capital Port Moresby. foreign investment across a wide range of sectors, including resources. both domestic and export markets. other inflows from outside PNG. reserve of 78Mt has also been declared. import around 45% of their needs from Japan, China and Vietnam. of the mineral sands portfolio. MINING/ENERGY | Mayur Resources maintains 51% of the $106 million NPV that was demonstrated by the PFS. “We retain around $53 million of the Orokolo Bay economics, which is just shy of our current market cap. So, that one deal essentially reflects the market cap of the company, but it should also be noted that Mayur also keeps 51% of all the other mineral sands projects in the portfolio. “We have several other projects we will be developing across our tenement area, But the key thing is we have an experienced, proven, low cost mineral sands developer and operator in CTRH, to help bring our projects into production.” Subsequent to the above, in another important company development Mayur also recently announced the signing of a first binding offtake agreement with a separate Chinese steel group for up to 40% of the vanadium-titano-magnetite product from Orokolo Bay. manufacturing hub in Morobe Province. making it a reliable and low carbon source of electricity. over the +30-year life of the projects,” says Mulder. In late 2018, ASX-listed Prospect Resources (Prospect) published a definitive feasibility study (DFS) for its Arcadia Lithium Project in Zimbabwe, a vital step for the company as it works towards near term production from one of the most significant lithium projects in the world. The DFS confirmed technical and financial viability of the 2.4 million tonnes per annum (Mtpa) plant throughput development and forecasted an average annual production of 212,000 tpa of 6% spodumene concentrates, 216,000 tpa of petalite concentrates and 188,000 lbspa of tantalum over a 12-year mine life. While these production figures convincingly indicate the true potential of the project, the strong economics outlined in the DFS have been most pleasing to Prospect’s managing director Sam Hosack. “The DFS indicated a robust business model capable of supporting quite a lot of potential turbulence in the market,” says Hosack. “When you are busy building a DFS you set out to anticipate the business environment variability to ensure the business robustness is factored in. Resource Global Network â&#x20AC;&#x153;In a sense you want the project to remain competitive in the most trying circumstances and in this case, it has been very rewarding to know that the Arcadia project is in the lowest capex quartile. That has been a major win for us.â&#x20AC;? Capital costs for developing the project are estimated at US$165 million, with operating costs coming in at $285 per tonne for a conventional open pit mining scenario at a LOM strip ratio of 3:1. Meanwhile, average annual EBITDA has been forecasted at $106 million, contributing to life of mine revenue of $2.93 billion, excluding tantalum credits. Having been granted a mining lease by the Zimbabwean government in August 2018, and with transport infrastructure already in place at the site which is located just 38 km from capital city Harare, Prospect is fantastically positioned to deliver shareholder returns as it moves from developer to operator at Arcadia. Returning shareholder value While the Prospect directors and management have known of the potential value held within the Arcadia project for some time, this belief was corroborated by the Hunter Capital Advisors report, which identified Arcadia as a Tier 1 asset in the global lithium space. This validation through independent research has been very comforting to Prospect. successfully to all of our stakeholders that this project can stand up and stand out. stable glass and ceramics market. stagnation of the last 15 years,” says Hosack. various ministers, Australian and Chinese ambassadors and key stakeholders. provides us the social licence to operate. office can provide direct support to. provides a direct line to the President’s office. of is the Rapid Results Initiative (RRI). compared to -6.6 in 2017.
lithium resources are being exploited. Resource Global Network space, particularly as the EV story gains pace. However, the company is not just targeting the lithium battery chemicals space. â&#x20AC;&#x153;The competitive advantage that we want to leverage off is the suitability of our product across multiple markets, including ceramics which absorbs around 30% of global lithium production.â&#x20AC;? This type of arrangement would allow Prospect to take advantage of established and robust markets such as ceramics and glazing, while also exposing itself to the more exciting and contemporary battery minerals sector, as confirmed by its offtake agreement with Chinese battery metals expert Sinomine. With a strong DFS under its belt, Prospect will plough forward with engineering, design and construction work in 2019, ahead of a commissioning date in 2020 for its Arcadia project. If the company keeps to this timeline, Prospect will become the largest lithium producer in Africa. Watch this space. Cardinal Resources has roots in West Africa that go back nearly 30 years, at a time when Nelson Mandela finally walked free after 27 years of imprisonment in South Africa. At this critical juncture in recent sub-Saharan African history, Archie Koimtsidis walked into West Africa with a motive to explore for gold across the highly prospective region. The Australian-born explorer and a few other Cardinal forefathers soon decided to refine their focus to Ghana, as it was English speaking and already had a relatively well-established mining sector at the time. â&#x20AC;&#x153;It was easier to go to the known rather than the unknown at that time,â&#x20AC;? explains Koimtsidis. The team initially focused on the mature gold mining industry in the South of Ghana, which had seen production from a conveyor belt of gold mines since the turn of the 20th century and even earlier in some cases. However, as part of its early regional scale exploration the company did set foot up in the North, discovering some colluvial gold and an outcrop in one particular location. Having seen this exploration potential, Koimtsidis vowed to return to the North at some point in the future. Northeast, close to the Burkina Faso border. congregating in the latter region during the 1990s and 2000s. and is slowly reaping the benefits. 2018 that real progress began to take shape. national highway, plus national HV hydro grid economic assessment (PEA),” says Koimtsidis. power and continuous water supply. Northern Ghana could well be a new frontier and a PFS with a sizeable reserve in it.” for gold exploration and mine development in the entire West Africa region. licence the primary focus for Cardinal. Resource Global Network Key financial metrics in the study were based on a gold price of US$1,250 per ounce and included a post-tax NPV of $586 million and a post-tax IRR of 38%. All in sustaining costs were calculated at $769 per ounce for the life of mine and 1.8 years was the estimated total project payback time. This large scale open pit operation will eventually produce 3,975,000 ounces of gold (approximately 125 tonnes) over a 14 year mine life, including 907,000 ounces produced from a 2.5 years long starter pit with an AISC of $599. Furthermore, Namdini remains open along strike and down dip, inviting the possibility of an extended mine life. â&#x20AC;&#x153;One of the key strengths of Namdini is the fact that the processing facility is conventional. There is nothing complex in the processing and everything is off the shelf,â&#x20AC;? says Koimtsidis. The PFS outlined a 9.5 million tonnes per annum (Mtpa) process flowsheet with a conventional crush-grind-float-regrind-CIL circuit and a gravity gold circuit designed for free gold. This process will eventually result in the production of gold dorĂŠ bars on-site, a big plus for the company. For Koimtsidis, the PFS is a significant step in the right direction at Namdini, and it gives the company confidence to progress with a definitive feasibility study (DFS), which has commenced and is anticipated for Q3 of 2019.
three metres at 4.1 g/t gold from 122 metres. RC drilling, returning several shallow gold intersections. it some extra NPV,” he says. understanding of what the communities want from an exploration/development company. AFRICA. IN THE PALM OF YOUR HAND. Podium Minerals is an ASXlisted company focused on exploring and developing high value platinum group metals (PGMs) in the Mid West region of Western Australia, where it holds mining leases covering an area of 77 km² over the entire Weld Range Complex (WRC). Prior to listing, Podium had concentrated on consolidating the ownership of the tenements into a single set of mining leases, which included the completion of a Native Title agreement covering the tenements. This incubatory period of Podium’s history was supported by the founding shareholders in the current company who recognised the potential of the assets. Their belief in the project was rewarded when Podium listed on the ASX in February 2018. Since the IPO, Podium has been able to quickly deliver on promises and demonstrate real value. Listing on the ASX The importance of the IPO on Podium’s company development is not lost on CEO Tom Stynes, particularly when considering the flurry of drilling that was able to take place in the Parks Reef area of the WRC last year. Resource Global Network “An IPO brings the necessary funds into the company to allow you to advance the exploration, and that’s what we’ve been doing; proving and demonstrating the targets and the geological hypothesis behind the complex,” he says. “Being a listed company also gives an opportunity to attract shareholders, and as it does for all junior listed companies, it gives you a platform to keep moving forwards.” Within a month of listing, Podium had commenced its maiden drill programme in the Western zone of Parks Reef and this was followed up by a second campaign targeting the central zone and Keel target in September. By October, Podium had collated the results of the initial drilling campaign into a maiden JORC mineral resource estimate for Parks Reef, which estimated a total of 340,000 ounces of combined platinum, palladium and gold contained in approximately 2.2 km of the identified 15 km strike length of the reef. Blue Spec Drilling Pty Ltd provides a variety of drilling services including: Reverse circulation Surface diamond drilling Directional drilling Water bores Remote area exploration and camps Blue Spec Drilling employs highly skilled and experienced operators and has a ďŹ&#x201A;eet of 19 modern multi-purpose drill rigs, which incorporate the latest safety and drilling techniques. Blue Spec Drilling is based in Kalgoorlie, WA and also has operations in South America. Bushveld Complex in South Africa. mining in Australia to date. and exceeding them,” says a jubilant Stynes. of the consistency of the mineralisation. could be quite significant,” claims Stynes. has been incorporated into the current Parks Reef resource. metal value lies, according to Stynes. efficient mining operation,” says the CEO. as a strategic supply source. through successful exploration in the WRC. drilling along the extents of the reef and define the true resource potential of Parks Reef. the perfect candidate to lead Andromeda’s team at Poochera. market of Australia has been negligible compared to the European market. in different areas of project management. resource of this rare, high value resource. material feed for HPA production. in fields such as medicine and agriculture. ResourceGlobal GlobalNetwork Network 97 Resource “We plan to initially extract the material as a raw ore and export it overseas to China and possibly Japan, where there is a keen demand for the material at the moment,” says Marsh. “Then, as a second stage we are looking very closely at dry processing that material onsite.” The managing director believes that moving to a dry process model will increase the project’s margins by up to four times and reduce shipping costs by half, which will give the company a big financial boost. Plus, there is also the option of wet processing overseas using a toll producer. “The people we will sell the raw ore to have a very large capacity, so if they could take on our material, we would use them as a toll processor and then export the wet processed material round the rest of the world.” All three models resemble simple, low-capex options for Andromeda and none of them involve Minotaur’s initial plan to build a wet process plant on-site, which would’ve needed at least $70 million in capex. Andromeda has already completed dry processing trials in Western Australia and received good results from a commercial operation there. The company also hopes to replicate those trials in China in the coming months and is in discussions for dry processing trials in the US and Germany. commercial trials in their end application. sent to China in anticipation of dry and wet processing trials there. costings for the scoping study. detail bone china with very high whiteness. environmental crackdown on polluting mines by the Chinese government. of Australia is that of a high quality and consistent supplier of minerals. IRISâ&#x20AC;&#x2122;s strategically mounted cameras provide complete visibility of your work siteâ&#x20AC;&#x2122;s activity, day and night. It protects your employees in two ways - hard hat detection alerts and security tracking and warning systems keep your employees and your operations safer, while the real site-based footage can be used in training and inductions to demonstrate how to safely complete a task, before employees even step onto site. Visit our website www.iriscorp.net or email info@iriscorp.net for further information. positive experience in Cuba,” reveals Zammit. has been looking for foreign investment. year tax holiday for oil companies. government to the people that we have been dealing with, has been very positive. decided that Block 9 was the most attractive. out by an independent best estimate oil-inplace resource of 15.7 billion barrels. retaining a 12.5% share of the profit. basis of a production sharing contract (PSC) over a +20-year period. is an area with most promise in terms of incremental production potential,” Zammit claims. generated above an agreed baseline level. from what we’ve seen so far. and/or Santos exercise their option to do so. APPOINTMENTS ‘Gold bull’ Eric Sprott to leave Kirkland Lake Gold Canadian billionaire mining investor Eric Sprott has announced he will retire as chairman and board member of TSX and ASX-listed Kirkland Lake Gold in May. “During the past five years, we have succeeded in creating a truly unique gold company which continues to have significant upside potential,” Sprott said. Board member Jeff Parr will succeed the ‘long time gold bull’ as chairman in the interim, pending his re-election at Kirkland Lake’s May 7 AGM. Sempra LNG names new COO and president Lisa Glatch has been named chief operating officer of Sempra LNG, a unit of Sempra Energy, and Justin Bird has also been appointed president. Glatch possesses over 30 years of engineering and construction experience, as well as the management of multi-billion dollar projects. Meanwhile, Bird led the development of Sempra’s five North American LNG projects in his prior position as chief development officer for Sempra North American Infrastructure. GE moves to appoint new CEO for Francophone Africa business General Electric (GE) has made Eric Amoussouga chief executive officer for Francophone Africa, as the company looks towards the next phase of strategy and growth in the region. Amoussouga will lead the development of diverse programmes with public and private sector projects and partnerships across Francophone Africa. “We are optimistic about Francophone Africa and the opportunities to develop breakthrough solutions in power, healthcare, aviation and renewable energy,” said President and CEO of GE Africa Farid Fezoua. FEW MINING CONTRACTORS KNOW AFRICA LIKE WE DO, OR HOW TO HELP YOU MINE MORE. There are three things you want in your surface mining contractor: flexibility, efficiency and safety. With African Mining Services you get all three. Outsource your mining operation to us and get a complete mining lifecycle service without having to finance or maintain a huge mining fleet. You get a company whose single focus is surface mining, who knows African mining conditions and how to mine productively in remote and difficult areas. Lastly, you get a contractor who has an enviable safety record because it takes the time to care and skill its workforce. Want more? Contact your nearest AMS office.